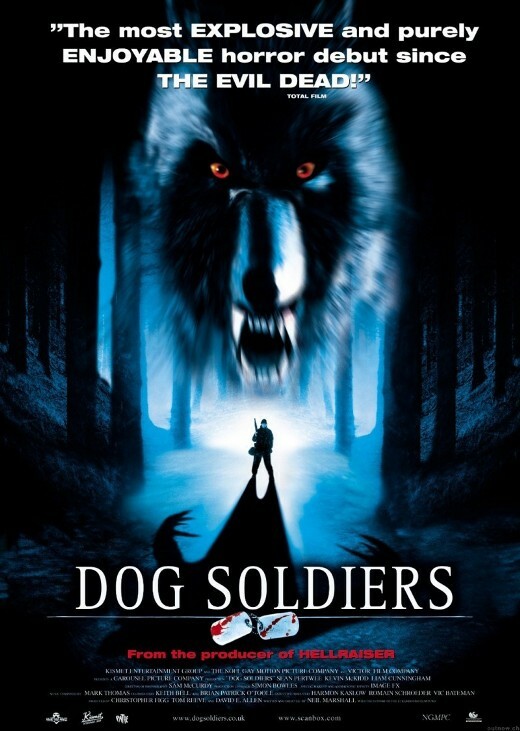 DOG SOLDIERS: Genre-Blending With Bite – Schlockmania! Neil Marshall is amongst the best “fan made good” genre directors working today. Over the last decade and a half, he’s established himself as a gifted and savvy director in film – The Descent, Centurion – as well as on television with episodes of shows like Game Of Thrones and Constantine. He made his feature film debut in 2002 with Dog Soldiers and the result showed that he was already comfortable enough with the conventions of genre to subvert them while blending different types of stories. 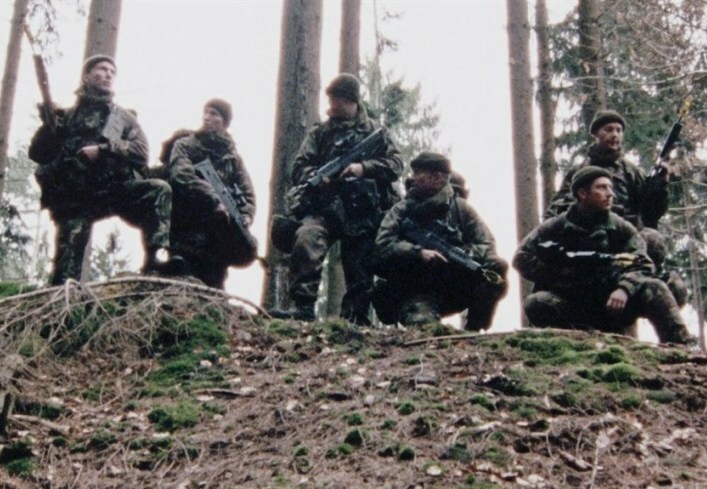 Dog Soldiers combines tough-guy military fare with the werewolf film. The heroes are a platoon out on a field maneuver in the Scottish countryside. The leader is experienced career soldier Sgt. Wells (Sean Pertwee) and his star pupil is Pvt. Cooper (Kevin McKidd), who opted out of the special forces after a test that pushed him too far. 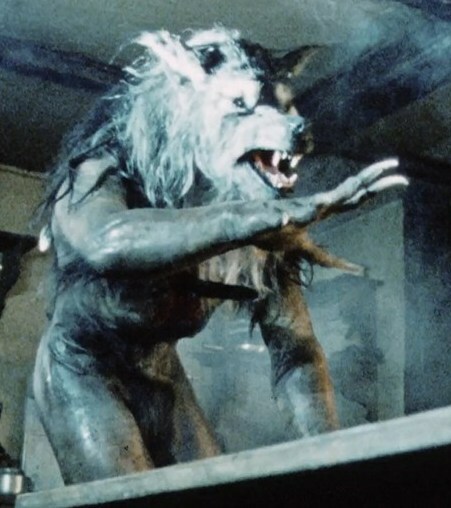 In short order, the group is attacked by werewolves and are forced to hole up in a house with special forces commander Capt. Ryan (Liam Cunningham) and reclusive local Megan (Emma Cleasby). As they fight their way to daylight, the plot twists pile up alongside the attacks. The resulting film hits the right balance between acknowledging its influences and doing something interesting with them. The script, penned by Marshall himself, incorporate elements from films as diverse as Southern Comfort (soldiers on a maneuver gone wrong) and Straw Dogs (a house siege involving pans of boiling water!) yet it manages to avoid simply repeating motifs from these films. Instead, Marshall constructs his plot in a way where it keeps unfolding throughout its running time as well as adding new textures to the characterizations. Marshall also shows a nice confidence behind the camera. He uses the mixture of fast editing and handheld camerawork that a lot of modern directors favor but does so in a way that is more thought-out, using the style to build tension and modulate the rhythms of the onscreen action. Along the way, he creates some memorable setpieces – the best might be a pair that involve a barn – that mix suspense and action beats in a way that pays off the promise of the film’s action/horr or hybrid premise. Another nice aspect of Dog Soldiers is that its characterizations find fresh angles on familiar archetypes, giving the actors something to do beyond just being cannon fodder. McKidd and Pertwee play their stoic hero roles well, adding greater depth to this archetype because Marshall gives them backstories to invest in. Cunningham underplays his megalomaniacal military man role well, responding to the subtle textures of the characterization, and Cleasby benefits from a strong variation on the token female role, with the storyline giving her interesting dimensions to reveal throughout the film. In short, Dog Soldiers is an excellent feature debut, one that shows the promise and well-honed genre chops that Marshall has continued to develop throughout his subsequent career. Any budding genre filmmakers looking to blur genre lines should check out this film as a sturdy example of how it can be done.